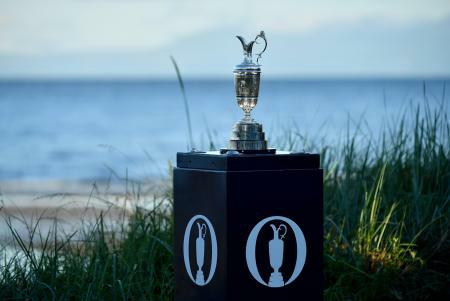 New ticket and pricing options have been introduced for the 145th Open Championship at Royal Troon, including a new twilight ticket and a £10 reduction in the price of an adult daily pass bought in advance. 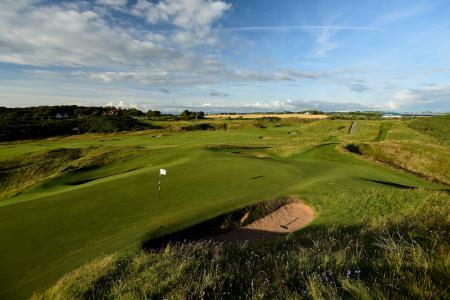 A limited number of twilight tickets will be on offer for the first time at Royal Troon in 2016, giving spectators entry to the course on Thursday, July 14 and Friday, July 15 from 4pm onwards for £25. 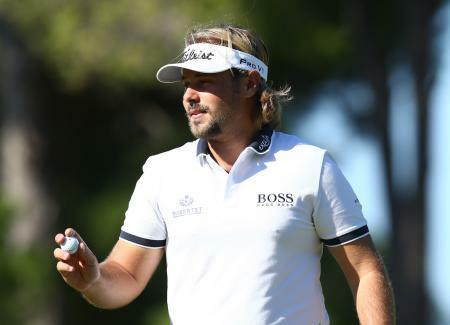 Victor Dubuisson has joined Jaco Van Zyl at the top of the leaderboard on 16 under, one shot ahead of Kiradech Aphibarnrat and Rory McIlroy. 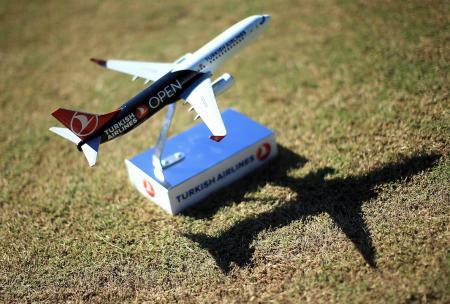 Here are the Day One & Two tee times and pairings for the Turkish Airlines Open which kicks off tomorrow. 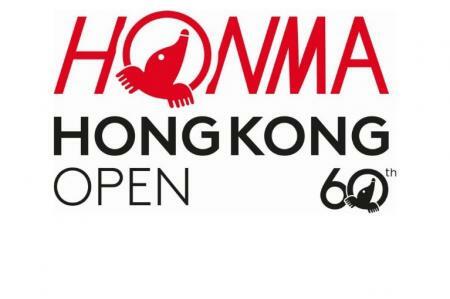 Blimey, the Hong Kong Open has got a better field than the Shriners this week. Here's the low down, plus selected tee times and a chance to tyake a tour of three-time major winner Padraig Harington's man cave! 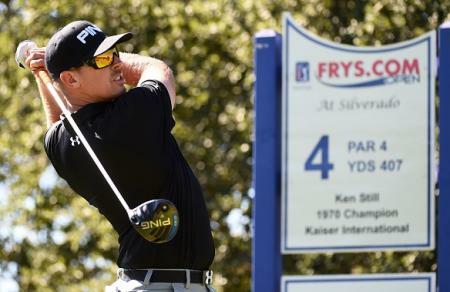 Wilcox fires 67 to close to within one shot of leader Brendan Steele. 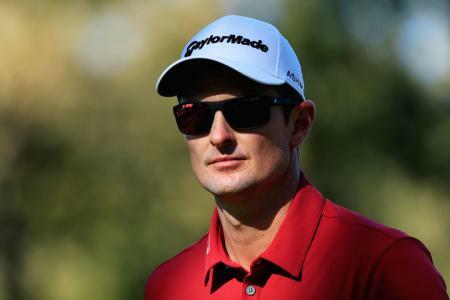 Justin Rose is at -8, three back, while Rory McIlroy shot a 71 to remain six shots off the lead heading into moving day. Graeme Storm took Thongchai Jaidee to the wire at the Porsche European Open, missing out by one shot to the 45 year old Thai player. 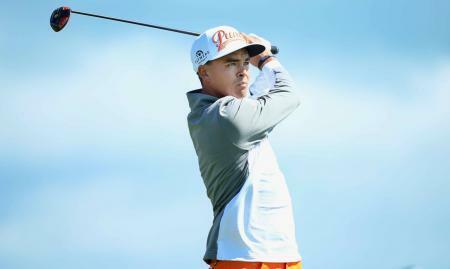 Both players shot a final round 67, but a bogey on the 17th, Storm’s only dropped shot over the weekend, proved decisive." 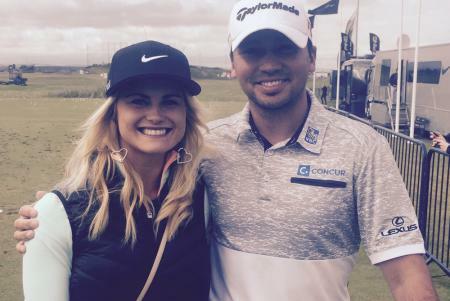 On a rain interrupted Day 3 at the Russian Open it was the Lee's who came out on top, defeating the weather to produce some spellbinding golf. 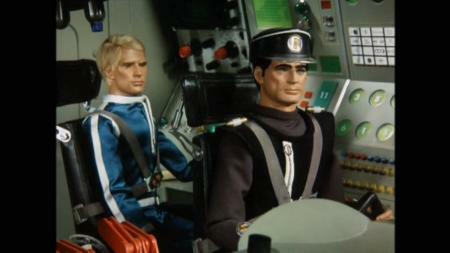 That's Lee Slattery and Craig Lee. Brace yourself Turnberry, here come the girls!!! It's on BBC2 HD from 1pm. Here's the list of all the qualifiers for this week's main event, including GolfPunk's very own Golf Nurse Carly Booth!!! Kick off is Thursday... Tee times to follow as soon as they are announced. 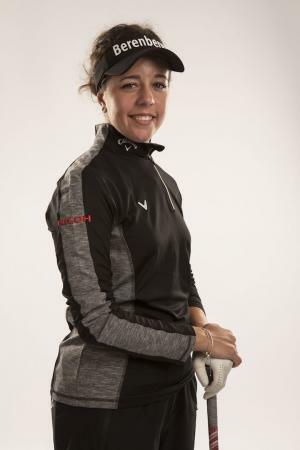 Hi I‘m Carly Booth, Ladies European Tour player and now, the new GolfPunk Golf Nurse!! 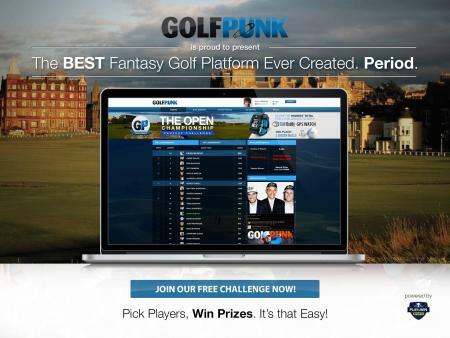 I’ll be bringing you tips for your swing at golfpunkHQ.com every week from August. 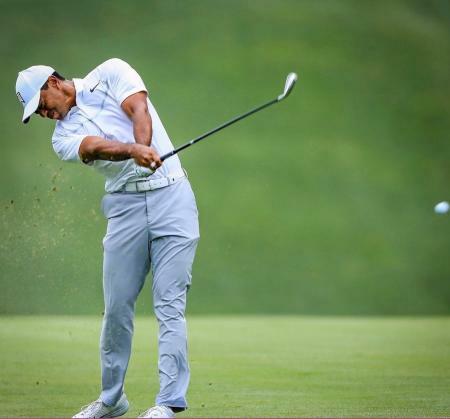 With Rory out of the picture, who are your 10 picks to win the Open? Join the fun here. GolfPunk cover starrs, past, present and future – how they doing? 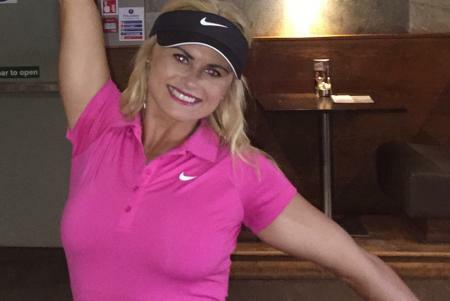 Swingin Siren Amy Boulden has been busy on Instagrtam lately. Here's a catch up with the LET star and a cracking interview in which she ponders if they really did land on the moon, and if she can lend us a fiver... Oh yes, and happy birthday Amy! 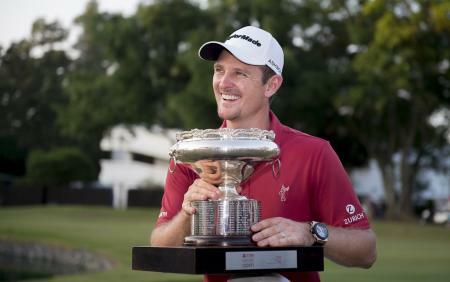 Nicky Colsaerts shoots second round 66 to climb up the leaderboard at the Emirates Australian Open. 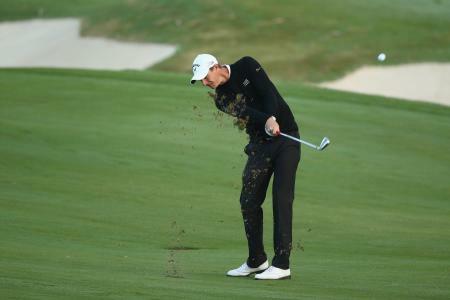 Colsaerts made six birdies and one bogey in his five under round to make up for a disappointing opening 73. 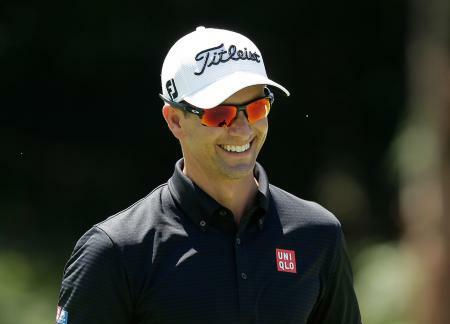 It's without doubt been a disappointing season for Adam Scott, who needs a late win to secure his record of a tour win every season, which is what he has done for the last 14 consecutive years. In front of what will undoubtedly be a highly partisan Ozzie crowd, Scott is properly pumped up for the occasion. 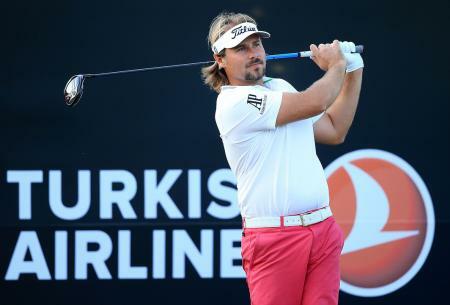 Frenchman Victor Dubuisson birdied the 18th hole to win his second Turkish Airlines Open, beating South African Jaco Van Zyl by a single shot. 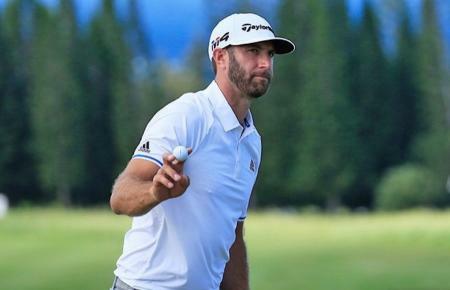 Invitee Dustin Johnson looks set to miss the cut after bogeying his last hole to finish +1 and one shot the wrong side of the weekend. You can't imagine this will go down well with the hosts but at least Dusty & Paulina will get to sample the delights of Hong Kong. Believe it or not, the 2016 Season starts here! World number errr...., two? Or is it one? 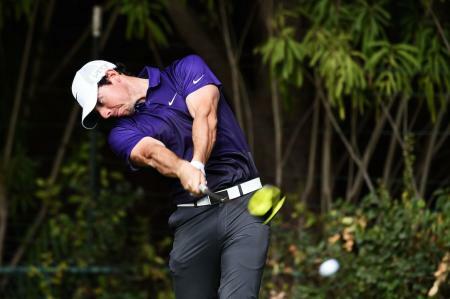 Anyway, top performing golfer Rory McIlroy has announced he will play at the Turkish Airlines Open in October. 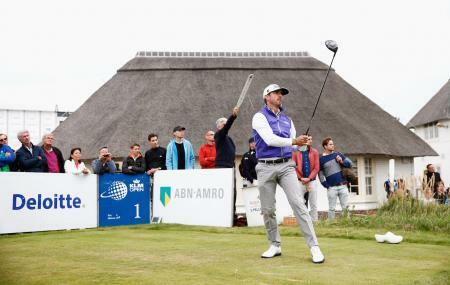 Soren Kjeldson holds a one shot lead at the halfway stage of the KLM Open as the incredibly low scores kept coming on day 2. 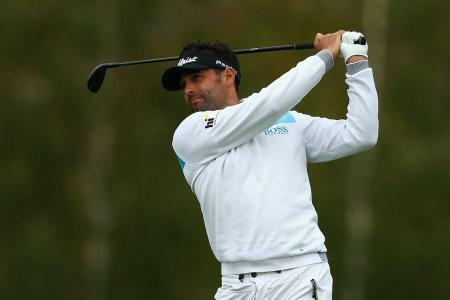 Lee Slattery shot a superb -7 under par 63 on moving day at the KLM Open to share the lead with Rafa Cabrera- Bella on -16. If Lee can get over the line tomorrow that will be back-to-back European Tour wins, after he bagged the Russian Open last week. 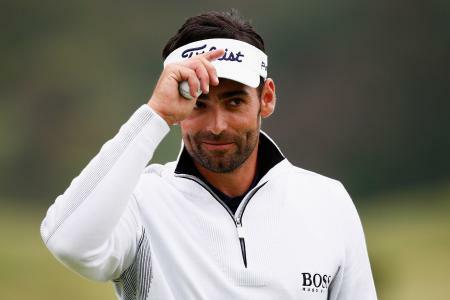 England's Lee Slattery held his nerve to win his second European Tour title with a one-shot victory over Argentinian Estanislao Goya at the Russian Open. Slattery is now top of the new Ryder Cup points table. We only saw this late today on Twitter, and it certainly got our curiosity. Who was Dicky Pride, and what was his scrawled piece of paper all about? We loved it, retweeted it, and promised that we’d keep an eye on developments. 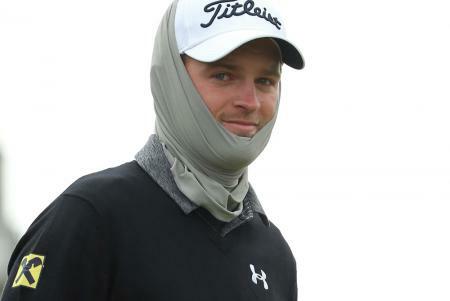 Carly Booth's Open Diary: Justin Rose is due another major, but it would be hard to argue against Jordan Spieth at St Andrews. 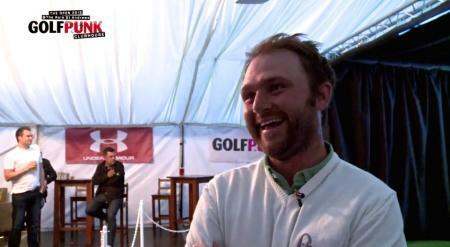 World number 23 and recent French Open Champion Bernd Wiesberger joins the GolfPunk Golf Nurse Carly Booth to officially open the GolfPunk Clubhouse at The Rule, St Andrews, In Association with Under Armour. 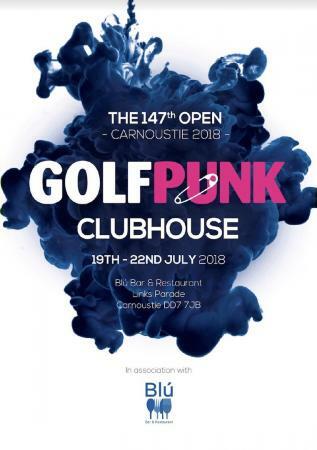 Gorgeous George, the GolfPunk, goes to the beach in St Andrews in search of golf keepy uppies, cockles and Seve's three iron. Winner, winner, haggis dinner!! Rickieeeeeeaaahhhh!!!! 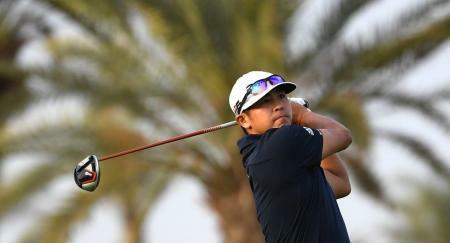 Kurt Kitayama produced a remarkable comeback at Al Mouj Golf to win his second European Tour title of the season at the Oman Open. This is the third global win for TaylorMade's new M5 and M6 drivers featuring Speed Injected Twist Face technology and fourth win for the new 2019 TP5/x golf ball. 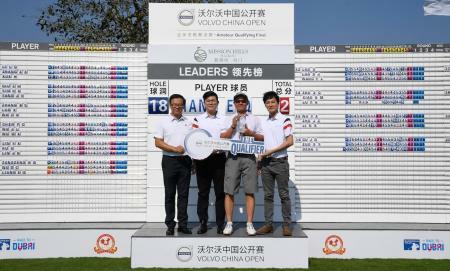 Guangdong’s Liang En Qi will line up alongside many of the world’s best golfers at the 2019 Volvo China Open after winning the tournament’s Amateur Qualifying Final at Mission Hills Golf Club in Haikou, Hainan Province. 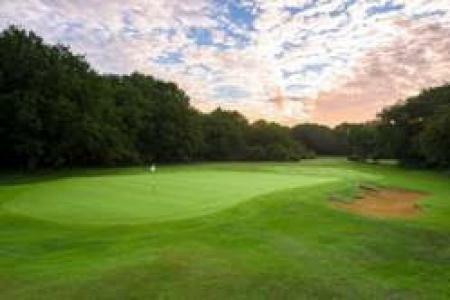 Canterbury Golf Club is gearing up for the staging of The Open Championship in July 2020 at nearby Royal St George’s by linking up with fellow Kent golf clubs in Visit Kent’s Golf in Kent Partnership. 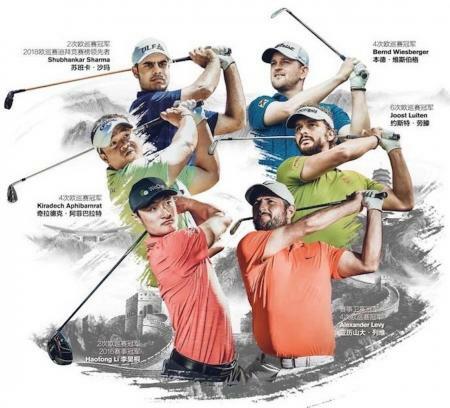 The Shenzhen Genzon Golf Club will be the venue for the 25th staging of the Volvo China Open when China's National Open Golf Championship returns to the city from May 2-5, 2019. Great to start the year with a winner in Hawaii with our 2 point selection Xander Schauffele winning at 25/1 from our other selection Gary Woodland at 29/1 by 1 shot having equalled the course record in the final round!!! A profit of 42 points. 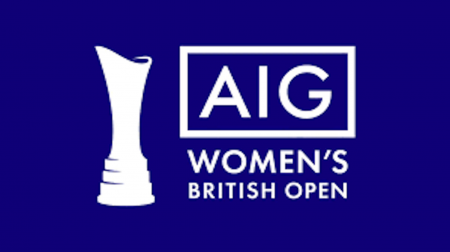 American International Group (AIG) has announced that it will become the title sponsor of the Women’s British Open beginning in 2019. 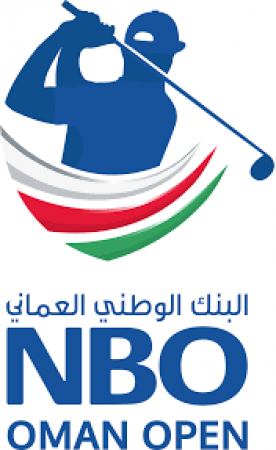 A great result for GolfPunk readers with Danny Willett winning the DP World tour Championship at 139/1. He actually drifted on Betfair to 179/1 so hopefully GolfPunk readers got the best odds?? 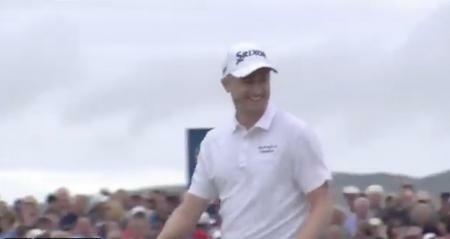 Here are our top twenty weirdest Open Championship moments. 1st and 2nd for GolfPunk readers at last week’s HSBC event!!! For most of the tournament Tony Finau 29/1 looked like winning, but our other selection Xander Schauffle 56/1 beat him in a play off !!! Just the one event this week and note it’s on the red button on Sky Golf TV. 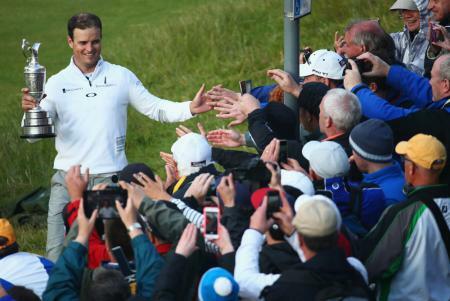 The 148th Open Championship, which will be staged in Northern Ireland for the first time in 67 years, has sold out! 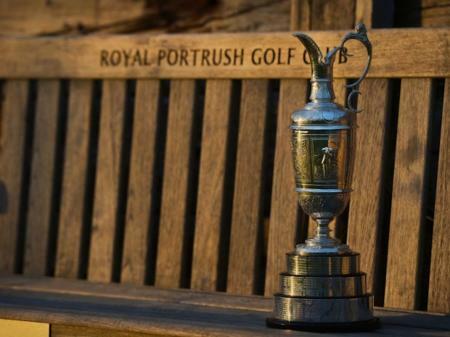 There has been unprecedented demand for tickets and hospitality from fans wanting to attend The 148th Open at Royal Portrush from 14-21 July 2019. They have now completely sold out of Weekly, Weekend, Friday, Saturday and Sunday Championship Day Tickets. 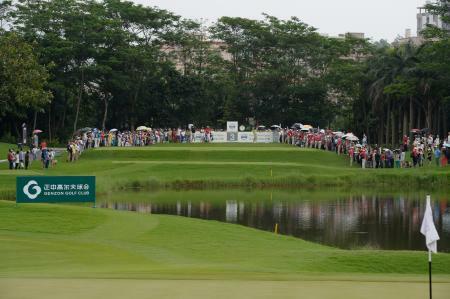 The galleries were large with few seats left within the first tee grandstand. 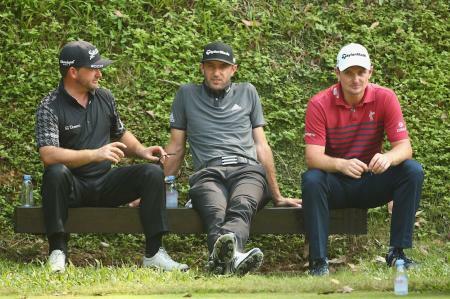 For many, it would be a daunting experience as they settled their nerves ahead of their third round of a major championship. 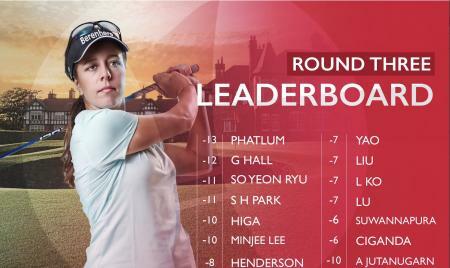 Georgia Hall has continued with her fine form from yesterday at Royal Lytham St Annes and in doing so, has put herself in a prime position to contend at this year’s Ricoh Women’s British Open. 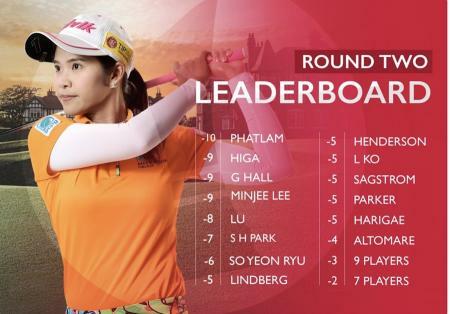 However, it is Pornanong Phatlum that finds herself in pole position at the halfway stage with a one-stroke advantage over the Brit. You have to go back to 2009 in order to remember the last time that a British player last won the Ricoh Women’s British Open. Back then, Catriona Matthew sealed victory after giving birth to her daughter only 11 weeks prior. 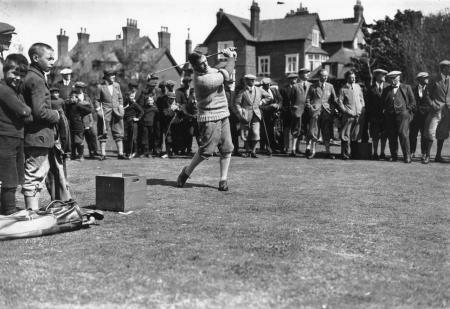 It has been a long wait but perhaps Royal Lytham St Annes could provide another British winner. 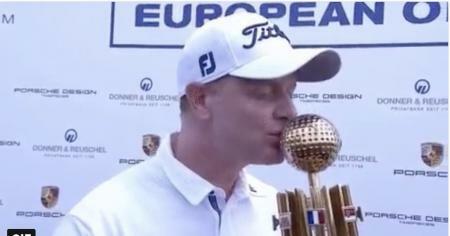 Richard McEvoy has won his first European Tour title with a 20-foot putt on the final hole. 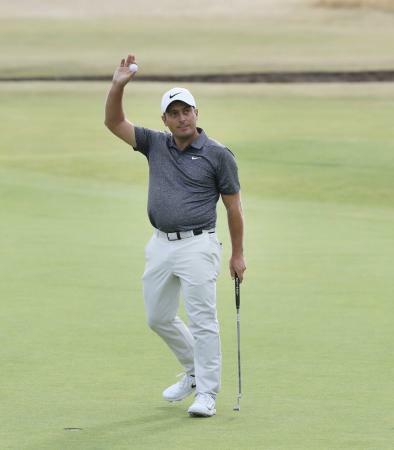 Francesco Molinari withstood a final round challenge from playing partner Tiger Woods to win his first Major title at the 147th Open Championship with another world-class putting performance using his Bettinardi BBZero Tour putter. 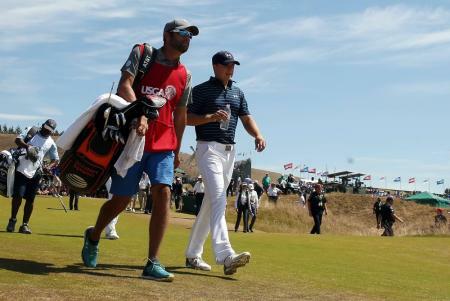 After three days where the Angus breeze barely whispered against Carnoustie’s tobacco-burnt fairways, on the fourth and final day it blustered with familiar gusto. Here's GP's take on the last day. 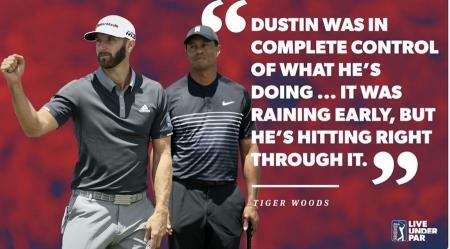 What a great last day at the Open last Sunday, there were at least 12 possible winners with 6 holes to go and it's fair to say Tiger is back!!! 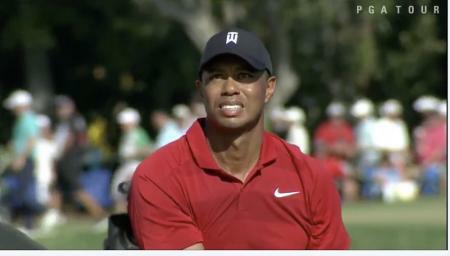 The winner Francesco Molinari by 2 shots from Justin Rose but it was Tiger that had the crowd on its feet!!! 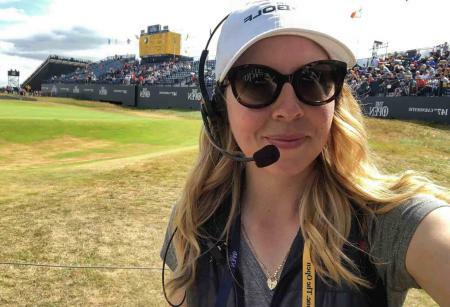 Rachael McQueen, the GolfPunk Golf Nurse and Skechers GoGo Golf ambassador, has been out as a ball spotter at this year’s 147th Open Championship, and we caught up with Rachael to ask her about her first experience as an official ball spotter. These guys ought to know what they're talking about... Right? We’ve been asking for nominations for the best five courses never to host The Open Championship, and these beauties rose to the top. 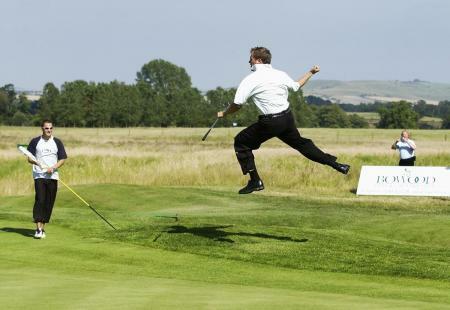 Ian Poulter has not been making friends and influencing people it would seem at the Scottish Open, as a leading Gullane member has sent a long and caustic letter to the Scottish Open tournament director titled: “Ian Poulter is an a—hole”. 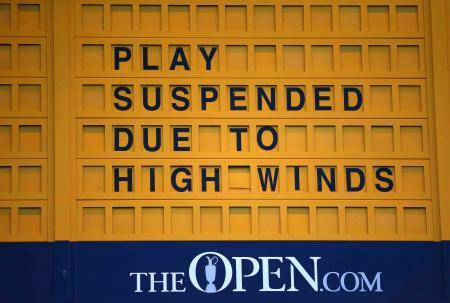 The third major of the year is usually one that pits players against the unpredictable elements. 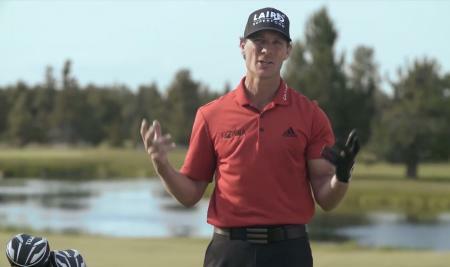 For that reason, it’s even more important that players have everything they need to perform their best on the course. 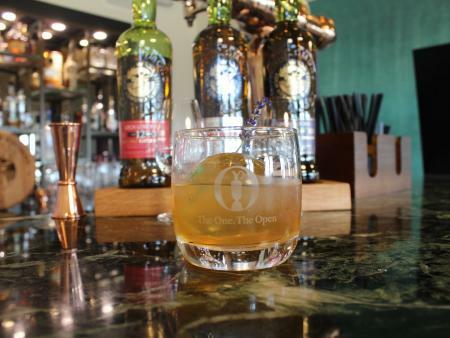 Two events this week the Scottish Open and the John Deere Classic. 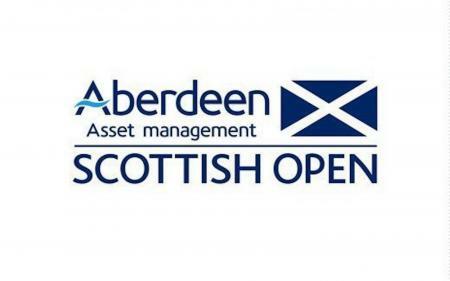 We concentrate on the Scottish Open, the last event before The Open. 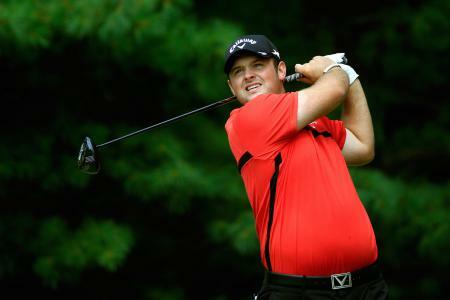 Two near misses last week in Ireland with both Jon Rahm and Andy Sullivan placed!! 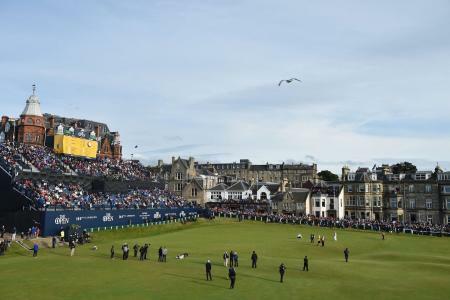 The prize fund for this year’s 147th Open Championship has increased by $250,000 to a total of $10.5 million. 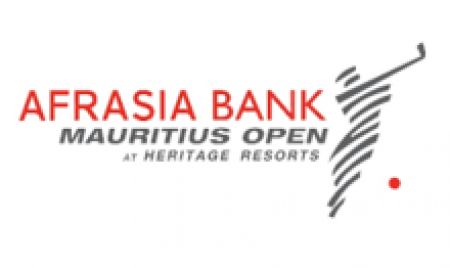 The winner will take home $1.89 million, the R&A confirmed on Monday. 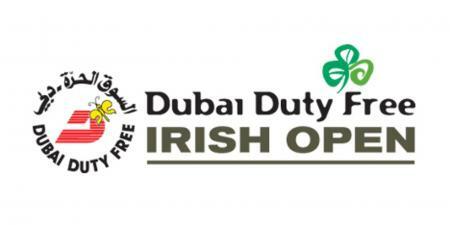 Russell Knox has won the Dubai Duty Free Irish Open at Ballyliffin, as the 33-year-old Scot secured a play-off win over New Zealander Ryan Fox. 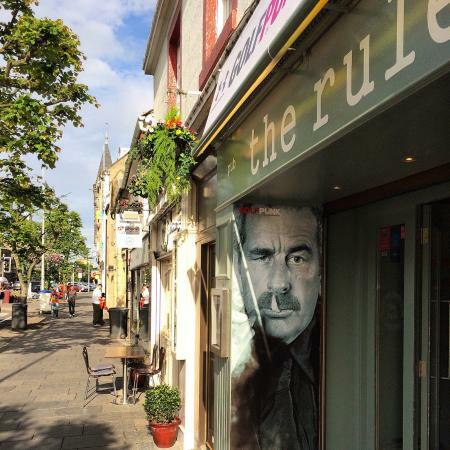 Two events this week - the Irish Open and the Greenbrier in the USA. 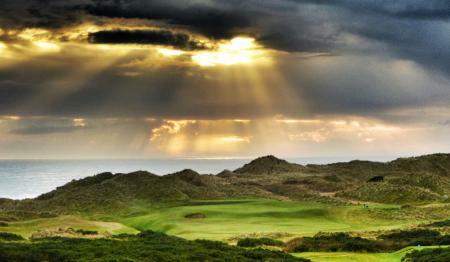 We will focus on the Irish Open, which has attracted a great field and is the ideal warm up for the Open in 2 weeks. 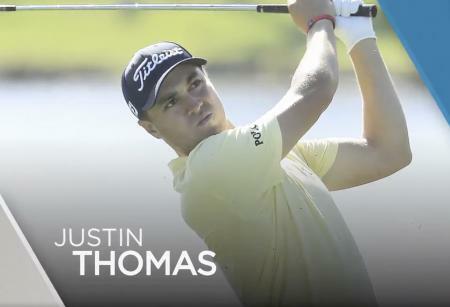 Justin Thomas is the only US Ryder Cup player who has made it over the pond to play the French Open at Le Golf National in Paris, the home of this year's Ryder Cup. Taking one for the team? 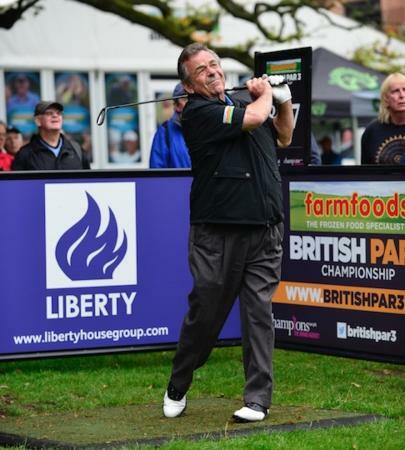 Tony Jacklin's got plenty to say on the US Open, Phil Mickelson, The Open and Golf Sixes. Here's his take on the current world. 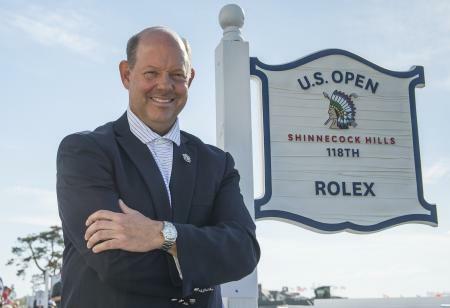 Here's a fascinating Question and Answer session with USGA C.E.O Mike Davis from the 118th US Open at Shinnecock Hills. 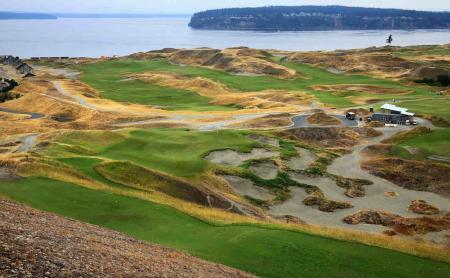 Mike covers U.S. Open venues, rolling back the ball, and the new world handicapping system. 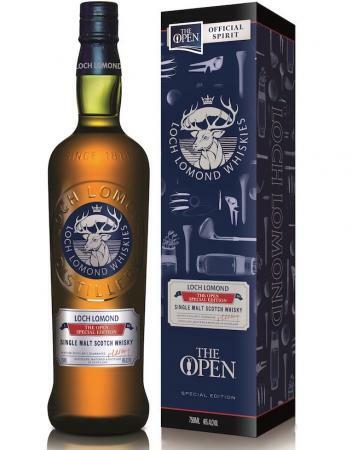 Award-winning independent Scotch whisky distiller, Loch Lomond Whiskies has unveiled three new highly covetable limited edition single malts to tee-off its prestigious, five-year partnership with The Open. 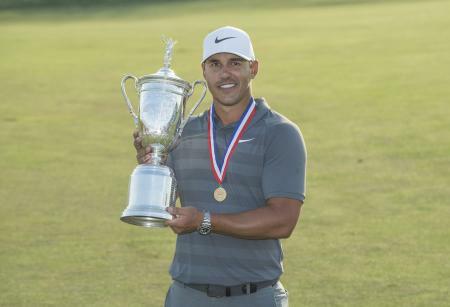 Brooks Koepka captured his first US Open last year at Erin Hills with a belligerent display of big hitting and aggressive scoring, devastating the Wisconsin course with a winning score of 16-under. He has become only the third man in post-war going history to retain that title in totally different circumstances. 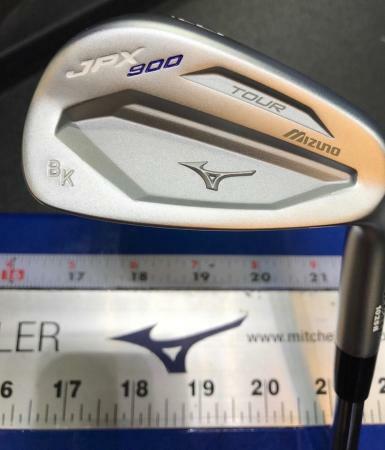 Mizuno is celebrating after its JPX900 Tour forged irons were used to win the U.S. Open for the second consecutive year at Shinnecock Hills. 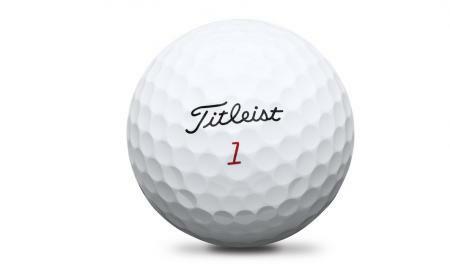 In a week in which Titleist celebrated its historic run as the most trusted ball at the U.S. Open for 70 consecutive years, the Pro V1 family did not disappoint. 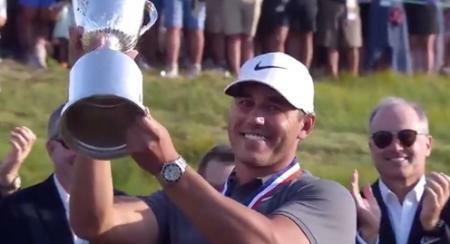 Here's Jeff Ritter's tips for how to win the US Open. 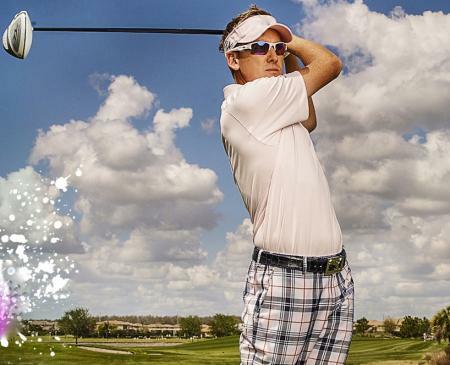 Pay attention Justin Rose, Brooks Koepka, and Dustin Johnson. 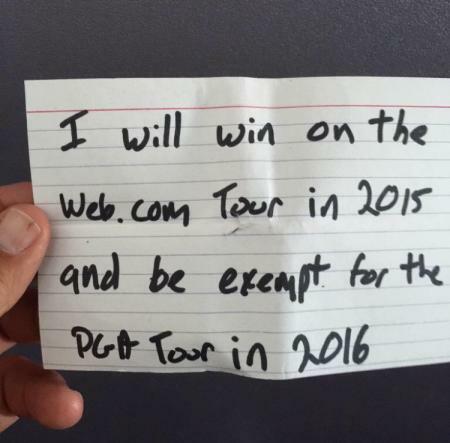 You might need these thoughts in your bag tomorrow. 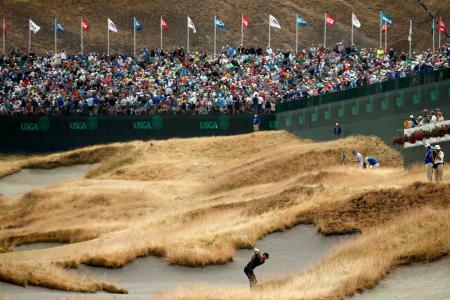 Jeff Ritter helps you get out of the deep rough - a crucial play if you want to win the 118th US Open. Listen up people. 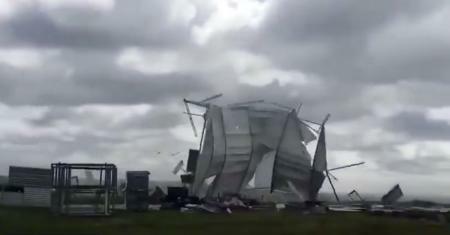 Check out this amazing footage as Storm Hector creates carnage at the site of the Scottish Open. It's moving day!! And it doesn't move any movier than the US Open!!! 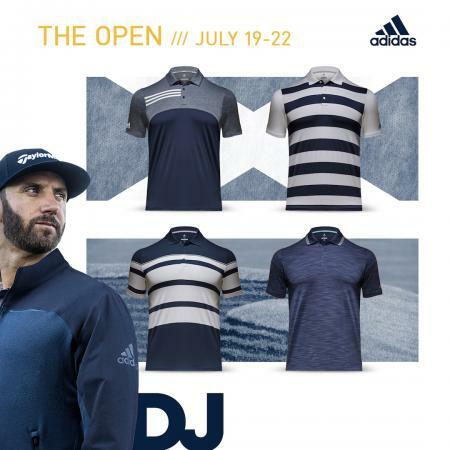 Dustin Johnson is in charge of the US Open, as he shot a three-under-par 67 to take a four shot lead, and is now the only player to be under par at the half way mark in what has been a gruelling first two days at Shinnecock Hills. 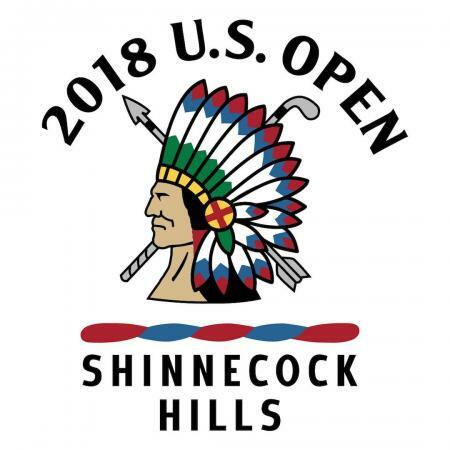 The US Open at Shinnecock Hills is here! 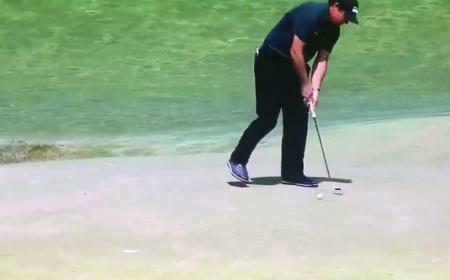 Tiger is back and Phil is desperate to win the one major he hasn't. Here's our Quiz testing your knowledge of all things US errrm, Openish! Come and have a go if you think you're smart enough. Whoop whoop whoop! It's US Open time. Shinnecock looks like a monster. A tame-able monster? Who knows. Certainly not me. What I do know is I just got 15/18 in the GP US Open quiz P2. Which is not great considering I set the questions... Let's see how you can do! 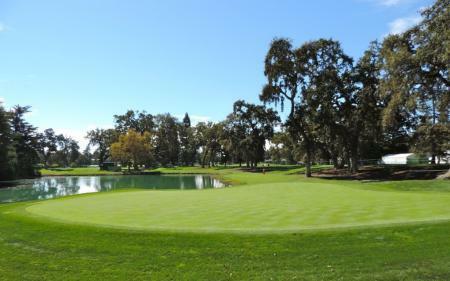 A welcome return to one of the worlds great golf courses, it’s been slightly redesigned by widening the fairways but it’s still a monster with the prospect for lightning fast greens. 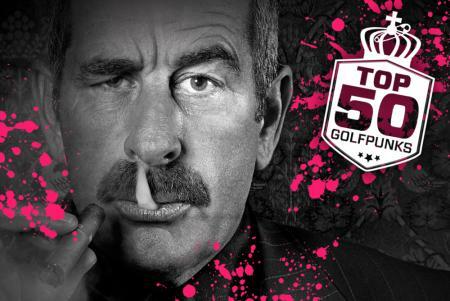 Immense skill required to even contend on this great course so I expect the top players to monopolise !!! 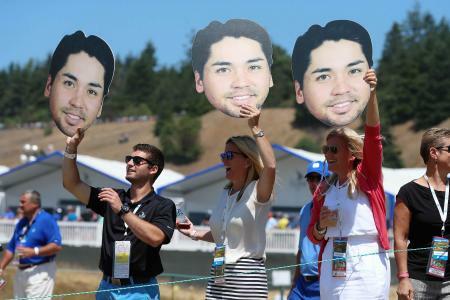 The USGA have released the tee times and pairings for next week’s US Open at Shinnecock Hills, and there is one almighty supergroup that is going to be unleashed on us. Plus here are the full tee times and pairings for days one and two. 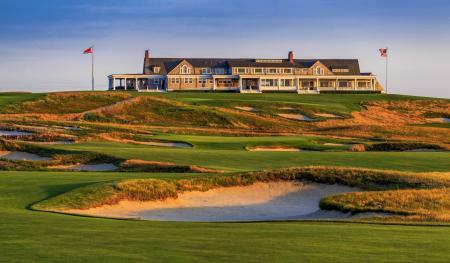 On 11–17 June 2018, an elite field of golfers from around the world will gather at one of the United States’ most iconic venues, Shinnecock Hills Golf Club, to contest the 118th edition of the U.S. Open, the championship regarded by many as golf’s ultimate test and for which Rolex has been Official Timekeeper since 1980. 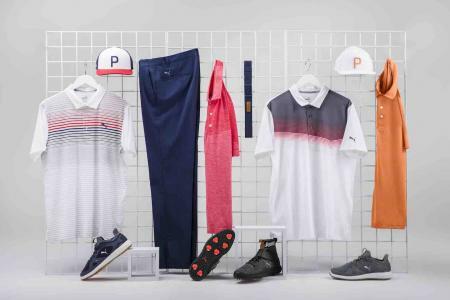 When it comes to the second major of the year, Rickie Fowler will be dressed to the nines each day in apparel from PUMA Golf’s Spring Summer ‘18 Collection. Who will make an impact at the US Open? 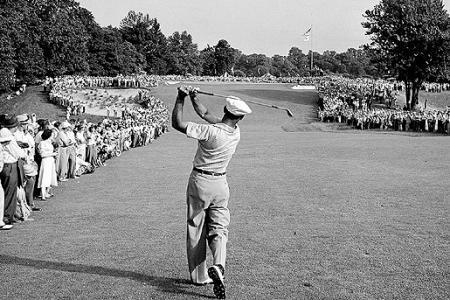 The second Major of the season is almost upon us, and this year’s edition looks more open than most US Opens in recent years. Great to have the winner of BMW PGA at Wentworth in Francesco Molinari 24/1 and Brandon Grace 16/1 and Kiradech Aphibarnrat 59/1 placed. And now it is time for Memorial and the Italian Open. 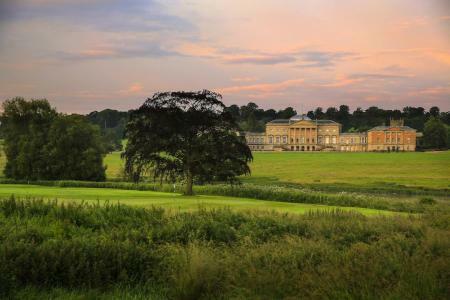 Kedleston Park Golf Club, home to one of Derbyshire’s most highly regarded golf courses, is fully geared up for its debut as a host venue for Regional Qualifying for The Open Championship on 25th June 2018. Tiger Woods will tee it up at The 147th Open Championship at Carnoustie in July, it has been confirmed. 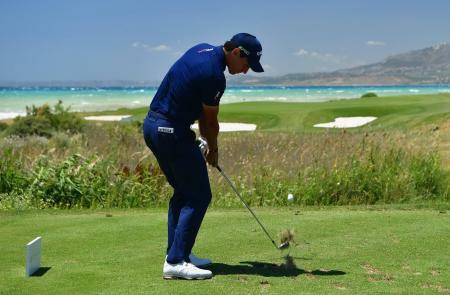 The cream of Italian golf is hoping that a return to Sicily will help inspire them to success in front of their home fans when they take part in the 2018 Rocco Forte Sicilian Open at Verdura Resort this month. 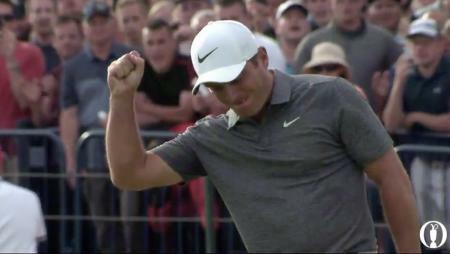 So near to a 99/1 winner last week with Van Rooyen and Bjork 94/1, who both got to the joint lead in the final round only to lose to a determined Levy who is trying to get in Ryder cup squad!! This week we will give the New Orleans event a miss as its pairs and I am fairly sure not taken too seriously?? So we concentrate on the China Open! !